In 1800 the Irish parliament voted to accept union with Great Britain, a move which was an economic disaster that snuffed out a burgeoning economy, led to decline, de-industrialization and, eventually, a disastrous famine that killed a million people and drove more than that out of the country. A complete catastrophe unrivaled in Irish history. If anything comes close, it was 1992. In 1992 the people of Ireland voted to accept the Maastricht Treaty, an arcane document that few voters really understood. 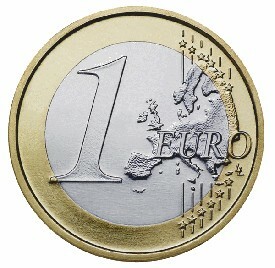 It committed Ireland to joining a single European currency, but the pluses and minuses of such a decision were never even considered in the run-up to the referendum. The Taoiseach (Prime Minister) Albert Reynolds sold the amended European Union treaty on the basis that we would get billions of dollars in aid and there would be no impact on our laws banning abortion. The only references made to the pending currency union were about how we'd enjoy the same low interest rates as the Germans. There was zero debate on the merits of joining a currency dominated by countries that, combined, accounted for about a third of Ireland's trade. Today we're reaping what was sown in 1992. Most people here are blaming the "greedy bankers" or the "greedy property developers", but that doesn't explain why this property bubble and subsequent crash were so much worse than those that had gone before. Greed is part of the human condition and bankers' and/or property developers' greed is a constant. No, another explanation is required and that's where the euro comes in. We exercise no control over the euro. Interest rates are determined to suit Germany & France, but the Irish economy does not move in synch with those economies. Ireland's two largest trading partners are the United States and United Kingdom, both of which are outside the euro. The fluctuations in the exchange rates between the euro and the dollar are not a reflection of economic conditions in Ireland, but serve to enhance our boom when America's up and Germany down and vice versa. Anyone who visited Dublin before the bust would have recognized that Dublin's architecture is dominated by two eras: the recent boom and the late 18th Century. The Customs House, the Four Courts and Dublin's famous Georgian squares and many other buildings were built before 1800 by a confident, thriving Dublin. It wasn't just Dublin either. Great Georgian buildings can be found in other cities and throughout the country. The modern equivalent of those great Georgian houses and official buildings are the large rural homes, the expensive apartment and the modern, confidence-oozing glass and steel office buildings that dominate our city centers. Gradually, however, those modern buildings and modern country estates are looking like symbols of another era, a time past, just as the Customs House would have seemed to 19th Century Dubliners. Many people believe it will take nearly a generation to work through the problems caused by the recent boom and bust. Presumably this will not include anything like a murderous famine, but economic decline and emigration are sure to be part of Ireland's future for some time. And, just as in 1800, it was all avoidable if only Ireland's political class had recognized that union has a cost.